After going through the sometimes-strenuous practice of earning a four year degree, some people wonder if it would be worth their time or not to continue their education. Although it is more academic work, earning a graduate degree is a great way to further your career and yourself through continued learning and education. At the same time, earning the degree can be difficult for individuals who have demanding careers, or other pressing commitments, that prevent them from attending school full or part time. However, for most people seeking an online master’s degree, the time and effort put into balancing that work-school momentum pays off greatly in the end: academically, professionally, and financially. Today there are more benefits than not for earning your graduate degree online. Not only are online programs tend to be more affordable than the same programs on campus, but they offer flexibility in learning and are career focused meaning students can come right out of earning their degrees and into a job. By earning a master’s degree fully online, graduate students get the best value out of their academic experience since they often finish their degrees faster than they would on campus – especially if they enroll in an accelerated online graduate degree program – and save money by attending school fully online. Earning an online degree means flexibility too. For example, you may be interested in earning a degree from a college that is out-of-state, or that would otherwise require you to move or make a lengthy commute. Or perhaps the on campus classes are scheduled during your usual work hours. By attending graduate school online you can plan your academics around your life and schedule. Another main reasons students across the nation earn their master degrees online is to earn more money while employed and after college. According to 2013 data from the Bureau of Labor Statistics students with master degrees earned an average weekly income of $1,329 compared to $1,108 for students with bachelor degrees. Students who had professional or doctorate degrees earned an average of $1,714 and $1,623 per week respectively. 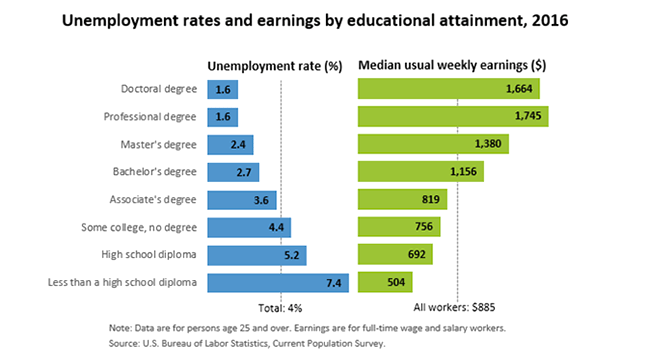 The chart below shows the difference in earnings for individuals with various levels of degrees. Today the most popular online degree programs are in the areas of business, education, and healthcare. For example, MSN and MBA students, who are often already leading professional lives in their area of study, benefit greatly from the flexibility awarded through an online program. 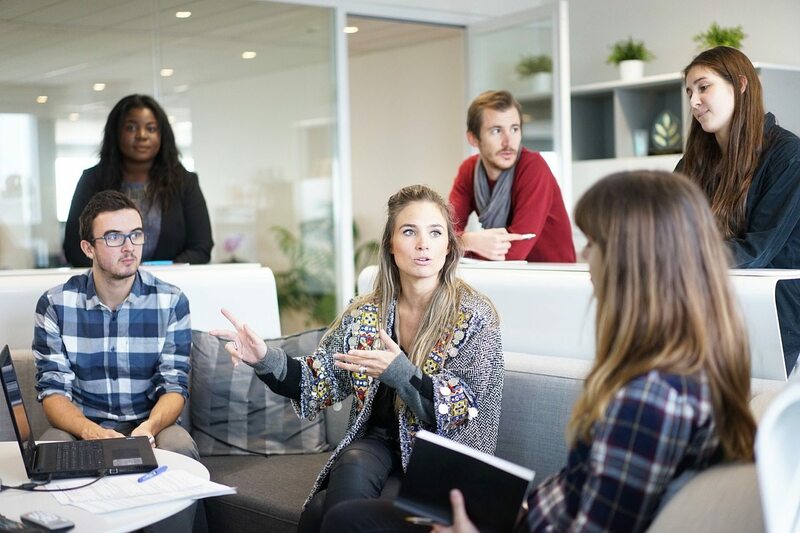 Typically these individuals advance in their professional lives through new opportunities, higher pay, and better careers immediately following graduation. Academically fully online graduate degree programs meet the same requirements as programs on campuses across the nation meet. The same professional and fully accredited universities lead the same kinds of courses fully online, and often times the same faculty and staff that teach on campus, teach online. If you are interested in earning your master’s degree while getting the best value out of your university experience by saving money and advancing professionally, while still maintaining high quality academics, enrolling in a fully online graduate degree program is your answer.